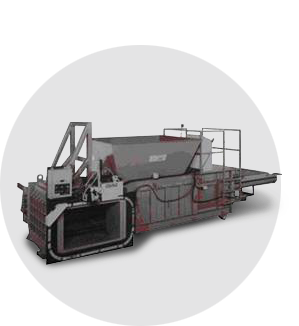 The Ver-tech 2-Ram Horizontal Balers are designed for multi-purpose baling of papers, plastics, non-ferrous metals and municipal solid waste. 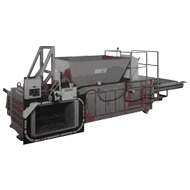 These balers provide large baler performance in a scaled-down size and price. Available in choice of sizes, speeds, horsepower, hoppers, etc. to fit your site and application. Performance and Durability in an economical package.